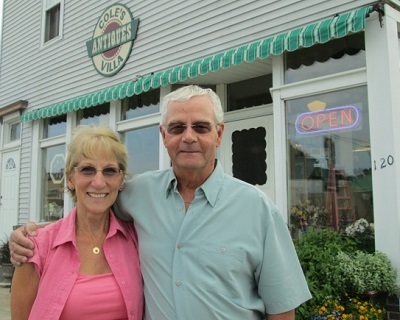 Cole's Antiques Villa was awarded the 2018 Ludington Daily News Reader's Choice Gold Award for Antiques & Collectibles. watches, milk bottles, toys, tools, Roseville, lanterns, etc. The dealers at Cole's love to keep their merchandise rotating and showing their efforts to work with the challenging economy. 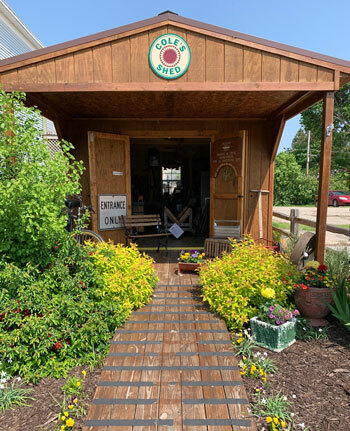 Their displays are always interesting and amazing throughout the year and that's just one of the many reasons why locals and visitors alike love shopping at Cole's Antiques Villa. Be sure to stop in again and again to browse their fresh displays. 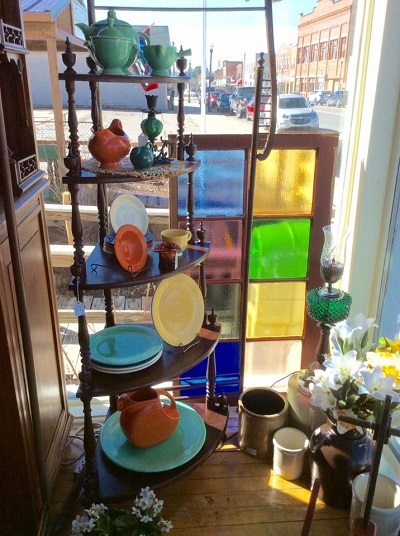 In addition to enjoying the selection of antiques while browsing at Cole's, be sure to note the architecture. The building itself has a rich history. Formerly a G.A.R. (Grand Army of the Republic) building, it was used for military family gatherings. Around the Turn of the Century, it was purchased by the Odd Fellows. Their meetings were held upstairs and the main floor was rented to various proprietors over the years: a casket-making company, carpeting, clock repair, a shoe store, and several antiques businesses. 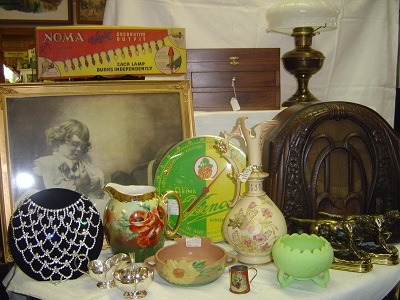 Jerry and Sally Cole, along with their many quality antiques dealers, are dedicated to finding the most interesting and fine quality antiques and collectibles for you to enjoy in years to come. BE SURE TO CHECK OUT COLE'S SHED! 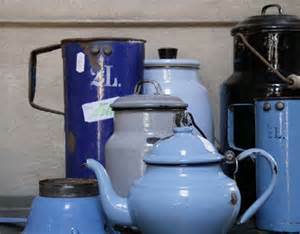 Just next door to Cole's, you'll find a nice sized shed full of "as-is" treasures at bargain prices! Cole's Shed is where you might find old doors and windows for projects, furniture ready to repaint or stain, and other fun project pieces.